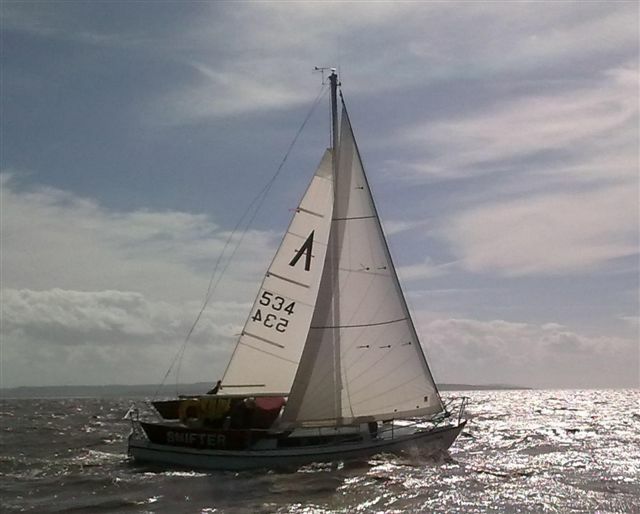 100% British made cruising and racing sails built to last you for years! Sails received, mainsail fitted and perfect. The mainsail is now in use in the Greek Islands. It set perfectly (for a furling sail!) and has a surprising amount of shape. Very satisfied. The Vectran I hope will last plenty of time without stretching. 3. It is lot lower than the last one at the tack and longer in the foot, therefore a lot bigger area than my last vertically battened sail. 4. I can easily drive the draft forward. 6. The boat sails better. 7. I can hold the sail well in a freshening breeze. It also goes well in light airs. 8. The light thinner Vectran comes out and rolls away very easily. All in all I am very happy under the constraints of a furling main. You may share my comments with prospective customers. The new vektran mainsail is really great! We can sail far closer to the wind compared to our previous old sail, and it is soooo smooth furling in and coming out of the in-mast furling system. We have been having a wonderful time in the Spanish Rias. Crusader Sails make Custom Cruising and Racing Spinnakers, which deliver superior performance coupled with outstanding value. We are able to offer you cruising chutes and asymmetricand tri-radial designs to cover the wide range of spinnakers available on the market. Contact us below for advice on the best cut, style and weight of spinnaker for your needs. All of our Spinnakers and downwind sails come with standard head tack and clew identification, color coded luffs, foot and leech tapes, and spinnaker bag. Firstly, we would like to know what type of boat you own..
You may want to expand a little on you requirements in the box below, for example "I am looking for a mainsail with full length battens, and a tri-radial kite"
Finally,we need your contact information so we can get in touch with you! That's it, if you are happy with the information you have provided click the submit button below. Click the rest button if you want to start again. Thank you for giving Crusader Sails the opportunity of helping you with your new sail quote.